The legend lives on in the Nike Air Force 1 '07 SE. This fresh take on an icon gives you classic style while playing up the AF-1's versatility with new colours and materials. 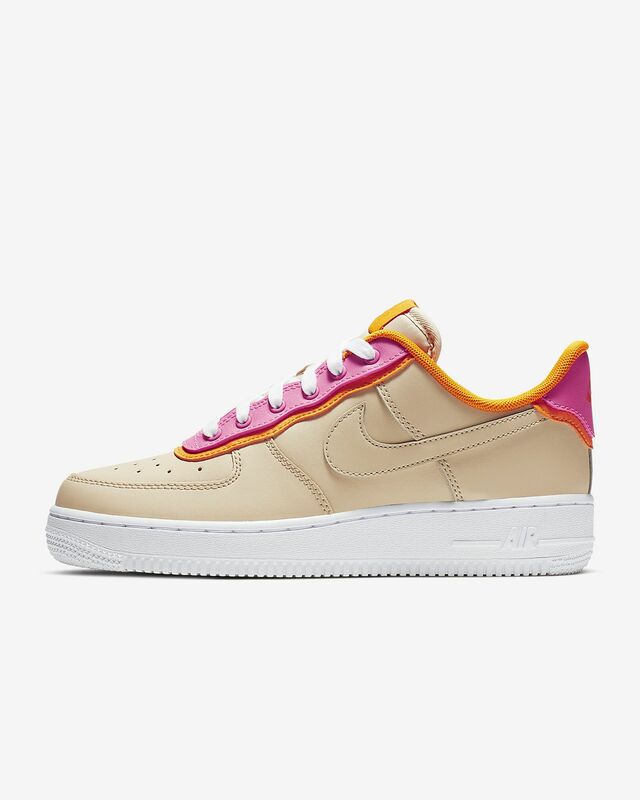 The legend lives on in the Nike Air Force 1 &apos;07 SE. This fresh take on an icon gives you classic style while playing up the AF-1&apos;s versatility with new colours and materials. Nike Air technology gives excellent impact cushioning. A low-cut silhouette offers a low-to-the-ground feel. Non-marking rubber in a sleek cupsole design supplies traction and durability. not what I expected, yet still cute. Good job Nike!! 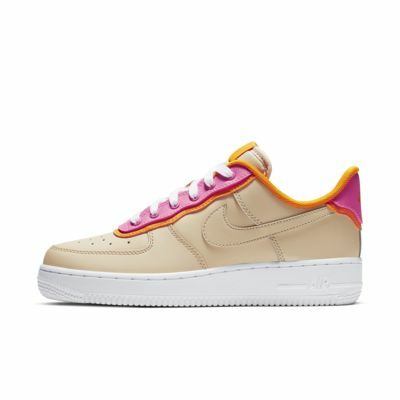 So when I was first looking at these shoes, maybe it was just me, but I thought they were the more traditional leather Air Force 1 with more details. It turns out that these have a satin material with a slightly shiny finish on most parts of the shoe. While not what I was expecting, the shoes are still incredibly cute and I will be keeping. Runs true to size (for Nike - I wear an 8.5-9 women’s and I got a 9 in these and they fit perfectly). Lots of padding, VERY comfortable. Only thing is I wish Nike provided a little more description or more detailed pictures. The styling of this shoe is really nice. You can wear it with almost everything any time of the day. It does fit somewhat large.